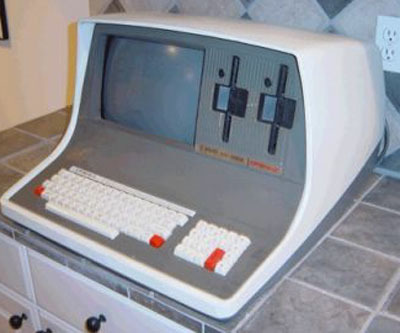 Introduced in 1980 the Superbrain was a totally integrated system with keyboard, display and disc drives. Featured dual Z80A cpu's@4MHz. Dual buit-in 5.25" (2DSx350 Kb) floppy drives and a optional 10Mb hard drive. Includes CP/M operating system, Microsoft Basic, 8080 assembler and Microsoft Cobol 74. This computer is now in a new museum and not part of our collection.